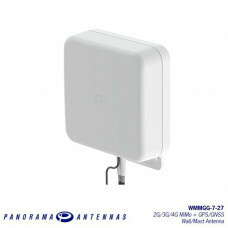 The WMMGG antenna is a 2x2 MIMO signal boosting antenna for 3G and 4G networks with high gain across 1710-2170MHz. 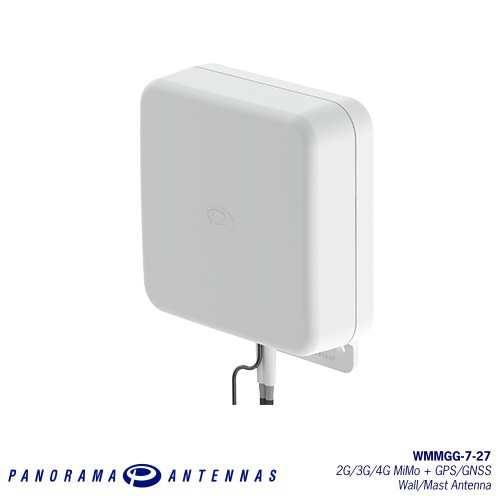 Incorporating two separately fed wideband elements in a single housing the WMMG is equipped to provide client side MIMO and diversity support for 3G and 4G networks. 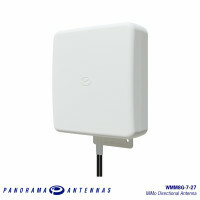 In addition, the WMMGG-7-27 includes a GPS/GNSS antenna with 26dB LNA for applications requiring positioning data. The rugged, weatherproof housing is designed for wall mounting. Wall and mast mounting brackets are provided. The antenna is supplied either with 5m of fitted low loss double shielded twin cable for cellular LTE and 6m of RG174 for GPS/GNSS for easy installation or with short 0.3m pigtails with N female connectors to allow flexibility to fit longer cable runs. The WMMGG is a cost effective value added product for network operators and service providers. It ensures a stable link with improved data rates for subscribers, thereby improving satisfaction and retention. 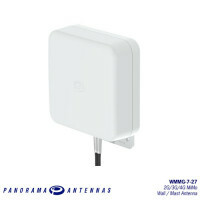 The WMMG antenna is a 2x2 MiMo signal boosting antenna for 3G and 4G networks with high gain across .. Supports MiMo & diversity across 3G & 4G Two wideband elements with gain Integrated GPS/GN..